Besides Euro Manganese, top gainers on the TSXV last week were Xiana Mining, California Gold, Ximen Mining and Sandfire Resources America. This past Friday (February 1), the S&P/TSX Venture Composite Index (INDEXTSI:JX) was somewhat flat, falling by 1.36 points, or 0.22 percent, to 621.36. Over the week, gold took a break as the US-China talks eased a little, while base metals were up in value. 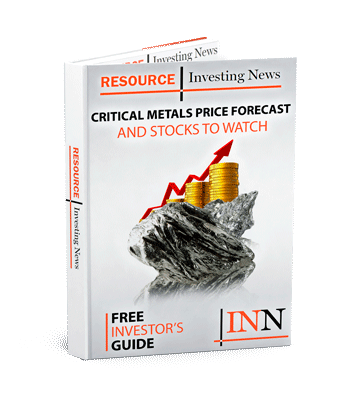 The Investing News Network had a look at what the best-performing junior miners were up to on the TSXV. Read on to find out how each company has fared during the five-day period. Canada-based, Chile and Peru-focused copper-gold miner Xiana Mining recently completed the acquisition of the producing Punitaqui copper mine in Chile from Glencore (LSE:GLEN) for US$25 million. Much of the company’s recent news has been about corporate updates, but earlier in 2018 the company announced it was entering into a long-term mining assignment of an advanced exploration property in Peru. Last week on the TSXV, the company enjoyed a 35.71 percent jump in value to C$0.57. Last week, the company announced preliminary economic assessment results for Chvaletice with an after-tax net present value of US$593 million. With that news, on the Toronto Venture Exchange Euro Manganese was up by 32 percent, trading at C$0.33 by Friday. Gold explorer California Gold Mining has two projects on the go — though only one is in California. The Fremont project is located in San Francisco while the Dingman project is all the way over on the other side of North America in Ontario. The company’s most recent news was back in October, when it announced high-grade assays from Fremont. Despite the stale news, the company’s shares were up by 27.66 percent in Toronto, reaching C$0.3. BC-focused company Ximen mining is the owner of three precious metals projects in BC — Gold Drop and Brett, which are gold-focused, and Treasure Mountain, which is a silver project. Two of its projects are under option agreements, and just this week Ximen announced its option partner — New Destiny Mining — has received assay results from Treasure Mountain with precious and base metal mineralization. Sandfire’s flagship project is the Black Butte copper project in Montana, which the company is currently walking through the permitting process. The company said it has extended the working period for the draft for its Environmental Impact Statement to winter 2019. On the TSXV, Sandfire was up by 26.67 percent to C$0.0.95.